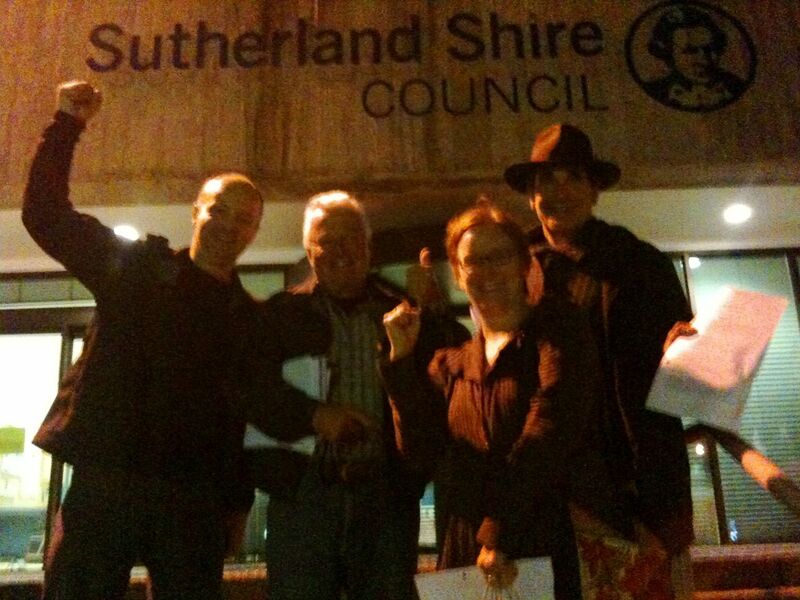 At Monday night’s full council meeting, Sutherland Shire Council backed down from its outrageous decision to try and steal your library. Thanks to all your letters, emails, signs, phone calls, petition signatures, film-making, song-writing and general concerted community action we forced council to listen to us. We can now look forward to the continuation of our community library in the fabulous, new state-of-the-art building. The hard-fought decision finally came in the form of a “Mayoral Minute”. So many people were involved in this spectacular piece of community action it is impossible to name them all. Specials thanks must go to school principal Michelle Shelton who calmly and methodically negotiated with the council to get this great result. A big thank-you must also go to Councillor George Capsis OAM, one of Bundeena’s councillors, who led the fight within council to get this decision overturned. Don’t miss this awesome protest film made by local film-makers Valerie Etienne and Justin Case and starring Dani Karis and YOU! Let’s get this one going viral! 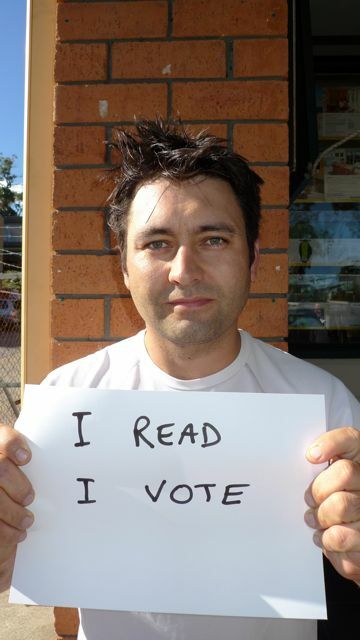 We asked Bundeena and Maianbar people to send a message to council about the theft of our library. And, boy, did you respond! Here are all the pictures we took in just a few hours last Saturday. Maybe our councillors will realise now that we are all individuals and we’re all determined that they will not steal our library! Your chance to be a movie star!! As part of our protest campaign against the closure of Bundeena Public Library, local filmmakers Justin Case and Valerie Etienne will be shooting & producing a video clip or two to appear on our website and YouTube, and be sent to councillors and other interested parties. As we have little time to act before the vote at the next Council meeting on Monday 21st of June, we would like to film a number of scenes with children and adults this Monday 14th June and we are asking Bundeena/Maianbar residents to come at 10am to Hordern’s Reserve (Bundeena Park between Hodern’s beach and playground) We are hoping to be finished by 12. Please bring with you BOOKS (a few per person), DRAWINGS and MESSAGES on A4 paper – get your child(ren) to do a drawing, help them to add a few words if they want to, write a catchy/fun message in BIG LETTERS – we will need them all, children’s and adults’ messages on A4, for individual & crowd shots. Also bring a towel or beach chair as we may need you to read at the beach. Vote now in the Leader poll! There’s a great story in the Leader today which also has an online poll. Make your feelings known by voting here. Spread the word to anyone who is interested to have their say. The “comments” section has also been opened up below the story online. Why not add to the discussion there, too.